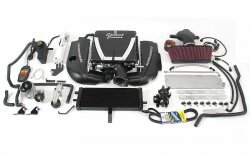 E-Force 2008-2010 Corvette 599 HP Complete Supercharger Kit  : Supercharger Superstore, Your Online Source for Vortech Superchargers, Paxton Superchargers, Procharger Superchargers, Magnacharger Superchargers and Techco Superchargers! Technical Note regarding Fuel Pump Installation: If you are considering the purchase of a complete Corvette E-Force supercharger kit #1591 (599HP) it is important to know that your new system includes an upgraded in-tank fuel pump, which is required to support the additional horsepower that the #1591 produces over the standard, 554HP kit, P/N: 1590. Installation of this pump is complex and not something we recommend for the do-it-yourselfer. 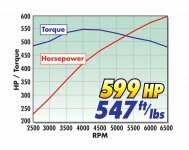 Edelbrock strongly recommends that prior to beginning the install of a #1591 supercharger kit you take the vehicle to a Chevrolet dealership or experienced Corvette repair facility for installation of this pump, per the specified GM workshop manual procedure. Once installed, you can follow these instructions to fully install the Edelbrock E-Force supercharger system.